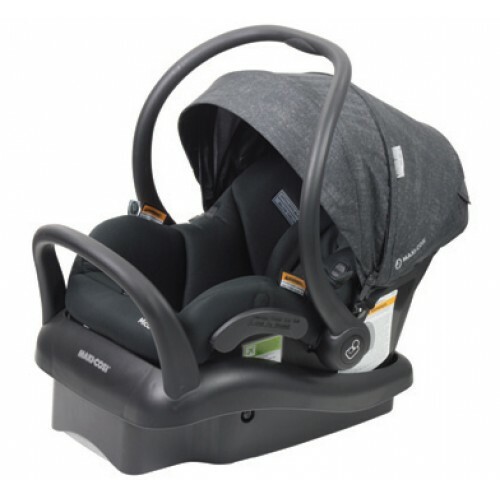 Introducing the NEW Maxi-Cosi Mico Plus capsule featuring the Superior Head Protection Air Protect, the new Mico Plus now includes an Extendable Sun Canopy with UPF 50+ and a water resistant hood with rear and side mesh inserts for continuous air flow. Continue to keep baby cool in the heat with the 'Cool Baby' wicking fabric. This unique fabric draws moisture away from your baby's skin, keeping baby cool and comfortable. Offering the latest in ease-of-use functionality, the Mico Plus includes innovative Magnetic harness holders and Easy Out harness pads to always ensure that your harness straps are out of the way when placing baby in and out of the baby capsule. NEW Extendable Sun Canopy and Water resistant hood. Reflective and water resistant canopy unzips from the hood, extending to provide additional sun protection for your baby. New water resistant hood includes air flow, through rear and side mesh panels. Reversible Cozi-Dozi™ head support for babies. Your precious cargo deserves the security provided by Maxi-Cosi’s innovative Air Protect TM Technology. Air Protect TM is designed to protect children from side impact collision and immediately reduces crash forces at the most critical spot: around a child’s fragile head. By reducing crash forces, Air Protect TM exceeds the most stringent safety standards and ensures the safety and comfort that your child deserves. Air Protect™ helps to reduce impact by 50%. All Maxi-Cosi car seats come with a Lifetime Warranty (10 year warranty on the shell and 3 years on the trim). Maxi-Cosi offers an easy to use Accident Exchange policy, in the unfortunate instance of a car accident.